Children affected by the brain tumour known as ACP can have a positive future, but in many cases their quality of life isn’t as good as it could be. New, targeted treatments are needed, and this collaborative project brings together teams from the UK and Germany to profile these tumours and work towards the development of improved treatments. Our funding is enabling doctors to identify the genetic profile of brain tumours known as ACP, and then work towards the development of new therapies and treatments for the disease. Childhood craniopharyngioma, or ACP, is a tumour of the pituitary gland, and its location and invasive tendencies make surgical removal difficult. The behaviour of ACPs can vary enormously; some grow very slowly and remain localised, while others grow fast and infiltrate surrounding tissues. This project brings together world-class scientists and clinicians who will be working on the development of tools that will help predict how a particular tumour may change with time. They’ll apply state-of-the-art molecular technology to profile a large set of ACP samples before moving on to compare these profiles with tumour behaviour. The final step of their work will be the identification of potential new drugs that could act on the genes identified during the earlier phases of the project. Although ACPs are benign, their location means that tumour tissue often cannot be completely removed without affecting brain tissue. Surgeons therefore leave tumour tissue behind, which tends to re-grow after a period of time. Radiotherapy can be used to alleviate regrowth but is often not performed in the developing brains of young children. Other treatments are needed to complement current treatments and offer a brighter future to affected children. Through this project, the Childhood Craniopharyngioma Research Consortium aims to provide tools to improve clinical care. The use of specific drugs capable of slowing down tumour growth would allow clinicians to postpone or avoid radiotherapy in young children, and thus avoid brain damage. New mechanisms of delivering the drugs to the tumour site could also reduce the potential side effects of drugs. Finally, the research will give a valuable insight into the biology of ACP, and the differences underlying its variable growth and infiltration properties. This will create the potential for more personalised treatment of children in the future. 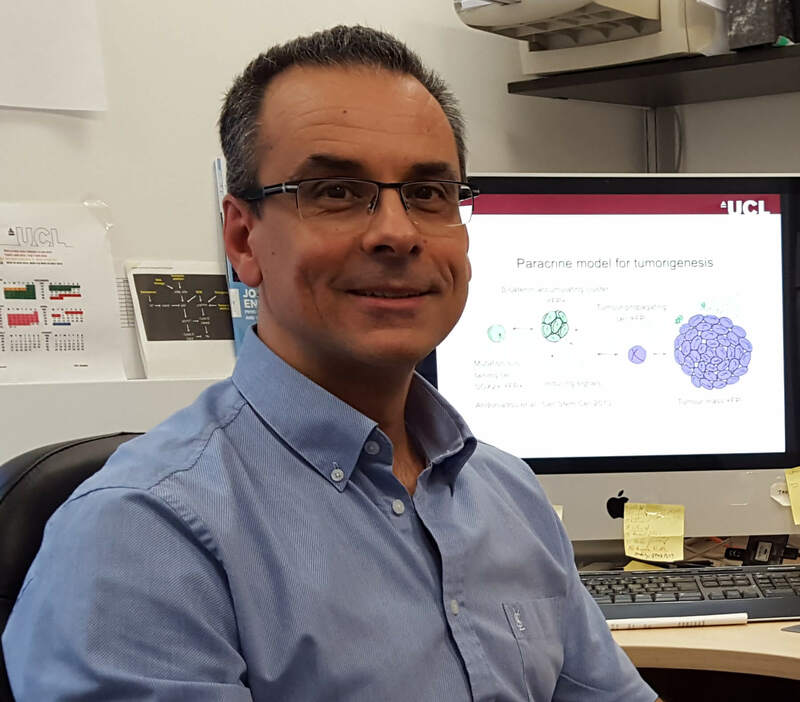 Dr Juan Pedro Martinez-Barbera, of the UCL Institute of Child Health, is one of the world’s leading authorities on the biology of ACP, and has developed some unique laboratory models for the study of these tumours. With the Childhood Craniopharyngioma Research Consortium, he’s working with colleagues from centres across the UK and Germany in a collaboration that will help to ensure the availability of sufficient samples and associated clinical data. His multi-disciplinary team includes basic scientists as well as endocrinologists, neuropathologists and oncologists, who bring a wealth of expertise in the research and clinical management of ACP in children. We have lots of great events to choose from! Join our fundraising team today!